You have a Twitter account, right? Silly question: of course you have. You and about 200 million others, at very least. The microblogging phenomenon has only been around since 2006, but, in a sense, it seems to compare with television and the internet as media innovations that changed the way we spend our waking hours. A couple of weeks ago, I wrote about how conceptions of privacy had changed so drastically in recent years and how, in many ways, we no longer understand our private lives in the same way as previous generations. Twitter has played no small part in this: with Facebook, it has turned private lives inside out – encouraging us to reveal details of our lives that other people find either fascinating or slightly less than fascinating, but never, it seems, dull. We devour information about what other people are doing or thinking or intending to do. What people are doing at any given moment may not seem very important, but we value this kind of information. Twitter has enriched millions of lives. Can it enrich them even more – this time with hard cash? Twitter has filed paperwork for what the world of finance calls an initial public offering (IPO), which means it will invite anybody with enough money to buy a chunk of the company. Appropriately, it announced the news in a tweet. This means that you or I or anyone else can become a part owner of a company that is already part of our lives and engages all of us for at least a portion of our day. Last year, Facebook floated on the stock exchange. Its founder Mark Zuckerberg had put this off, probably fearing that he would have to surrender his hoodie credentials and become a corporate head, answerable to his shareholders. Zuckerberg seemed concerned that people will stop thinking about Facebook as a cultural service provider and more as a profit-driven business. The initial price per Facebook share was $38 (£24); it is now about $44. A 15.7% increase in 18 months is not bad, despite a rocky start. Encouraged by this, Twitter is following its networking cousin into the market. Twitter seems to be everywhere, all of the time: people are always tweeting, or reading tweets, or retweeting. But there are actually three times as many Facebook users as tweeters. Twitter’s revenue is also less than Facebook’s in 2011, its final year as a private company. So there are bound to be suspicions when it arrives on the market. All the same, the sheer prominence of Twitter in contemporary culture will persuade investors that this is a company with a future. Won’t it? Twitter has been revolutionary. But the question investors will ask themselves is: will it be revolutionary like television, or revolutionary like ITV, the first commercial company in Britain? Since the 1950s, tv has grown into arguably the most influential innovation of the twentieth century (I’ll accept a counterargument from advocates of the internal combustion engine). It’s adapted to changing environments and, in the process, changed us in myriad ways. ITV launched in 1955. BBC was the national public broadcaster and, as such, was funded by licence payers, not advertising. ITV’s remit was more populist and it operated as a commercial organization, charging for advertising spots between its programmes. It shared the market with BBC until 1964 when BBC2 came into being. ITV’s market share was shaved a little in 1982 when Channel 4 arrived, but in the late 1980s and 1990s, it was thrust into an open market with any number of digital and satellite channels all competing for advertisers. And it’s struggled ever since. So what is Twitter? A unique medium like television, or a service that has got the market to itself, but only for the moment? Will we all be tweeting in five years? Probably. But in ten? And beyond? Twitter may be, like television, a medium that morphs with cultural changes, or it may be just one service provider that has caught the zeitgeist – and zeitgeists change. Twitter has no doubt already started planning for this possibility. For example, it has the video-sharing app Vine, and Twitter music, the music discovery service. It will probably launch new services. But the product Twitter will be putting up for sale is actually you. OK, you see yourselves as users, but, as far as advertisers are concerned you are potential customers. 200 million customers is an attractive market for advertisers. Unlike tv stations, Twitter has no portfolio of programmes, such as Corrie, The X Factor or Downton Abbey (all ITV, of course): it just has people who like tweeting and are liable to be influenced by ads. At the moment, none of us minds the occasional pop-up; after all, it’s a free service. 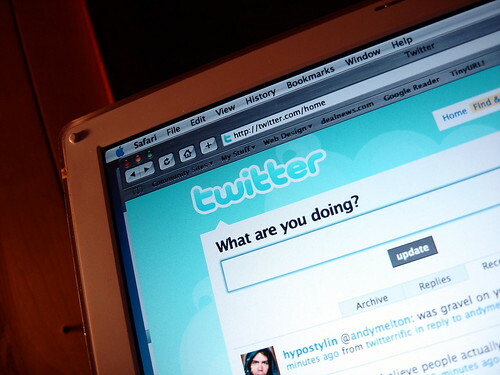 Twitter currently reckons it pulls in about 380 million quid a year from advertising. But, once on the stock market, Twitter will be under pressure from shareholders to pull in as much revenue from advertisers as it can and this could affect the experience that tweeters currently find so engaging. Would Twitter dare risk alienating users with too many ads? This is essentially the question potential investors will be asking themselves. This entry was posted in Media and tagged advertising, Facebook, ITV, Mark, television, Twitter, Zuckerberg on 15 September 2013 by .